officially sold through the british legion now, ordered 4 this morning, good to see these finally sold i emailed them for several years wondering if they would do a full run on all league clubs as currently you can buy them on ebay but who knows where that money goes, bought 4 badges and rounded it up to £20.00. I know it’s been a growing market over the last five years, but I’m not a big fan of the ‘footballising’ of poppy stuff personally. Well done Mick Everett, museum founder and trustee, (he does some other job part time at the Valley, i think) for organising this. I believe only 500 have been made so don't hang around. I tend to agree but given the number of bootleg versions it makes sense for the clubs and Royal British Legion to make them and ensure the money goes to the RBL. I tend to agree but given the number of bootleg versions it makes sense for the clubs and Royal British Legion to make them and ensure the money goes to them. exactly why im happy, as have never bought the bootleg versions before but a lot do so when you can get the real thing and the money is going to a worthwhile cause even better. 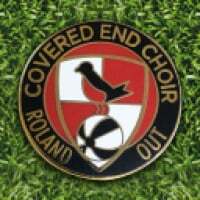 if 50 badges were sold for every football club in the league system thats £11,454.00 to the British legion, paper poppies fall off and i will have 2 this year one from start of October till Pompey away which i will wear to charlton matches, and i also will get an official enamel badge for my work jacket. offically made i am a fan, what i do not like is people selling them on ebay with a poppy on them that is no way linked to the British legion. Just bought one too, a nice idea and at least we can be sure the money is going to the right place. Received mine this morning,good service from The Royal British Legion.The delivery was made by Parcelforce,so you may have to be at home when delivery is attempted. Got mine today. Great quality items.. Thanks for the link. Just got 4. Me too, on my coat already, nicely enameled and actually looks better than I had thought it would. Mine turned up today. Very nice. thanks for link - just ordered some. Had to go to the bloody post office. Why the dickhead didn't put it through the letterbox I don't know. Because they are sending them out requiring a signature. Had this problem too but sorted it before I pressed order. Bit of a clunky site but a good cause. That's what I assumed but post office told me no signature required. "I don't know why it wasn't put through your letterbox"
Mine were out through the letterbox. Wore mine for the first day today. 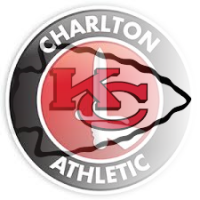 Must admit wasn’t sure what people’s reactions in the office would be when they saw the Charlton badge next to it. For some reason I had it in my head I’d have people say it is distasteful, but no one seemed to have anything to say.